There’s more than one way to celebrate a St. Patrick’s Day race and if you’re looking for a nice low-key Shamrock event to add to your race plate, the 2019 Shamrock Run in Central Point is coming up on March 16th. This race will start and finish at Crater High School at the track, and it’s an out and back 5 miler on the Bear Creek Greenway. In addition to the 5 mile option, there’s a Leprechaun Lap for the kiddos that’s completely free! 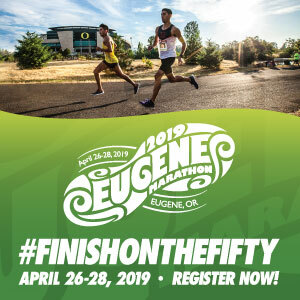 The cost of the 5 Miler is $15 for Southern Oregon Runner members and $20 for non-members until March 15th. Late and day-of registrants will have to pay $25 for the event. However, kids 17 and under can run for $7. Packet pick up will be the day of the event starting at 7:30AM. The Leprechaun Lap starts at 8:50AM and the 5 Mile run & Walk begins at 9:00AM. Don’t be late! Bathrooms are available at the registration area and after the event, and ribbons will go to age group winners. No baby joggers, dogs, headphones, roller skaters, or bicycles please. Also no unregistered runners should participate, so register today! When: Saturday, March 16th, 2019. Kid’s Leprechaun lap begins at 8:50AM and 5 Miler is at 9:00AM. 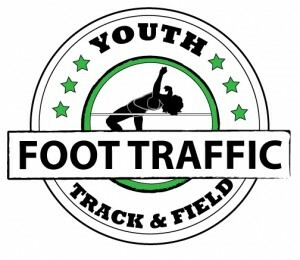 Cost: $20 for SOR members and $15 for non-SOR runners until March 15th. Late registration will cost $25. All kids 17 and younger can register for $7 and the Kid’s Leprechaun Lap is free. Another option for a race on April 16th is the 2019 Church of the Valley 5k in Grants Pass. Proceeds from this race will benefit the Grants Pass Gospel Mission and unlike many 5k races, your registration will include both a Sport-Tek t-shirt and a custom wooden medal made by Rocket Laser Graphics, a company in Grants Pass. The cost of this 5k is $30 until March 1st, when the cost will increase $5. Registration is only available online and shirts and medals will only be guaranteed for those who register by March 1st. You can also help out the cause by collecting pledges for the mission. Find the pledge form here. The person with the highest number of pledges will receive a special gift from the Gospel Rescue Mission at the conclusion of the race. The 5k course will start and end on Foundry Street which is near the Gospel Rescue Mission parking lot. Roads will be open to traffic, so runners should proceed with caution and pay attention. Please stay to the right hand side as much as possible and obey the rules of the road. Check out a course map here so you know what you’re in for. Water and coffee as well as snacks and bathrooms will be available at the Rescue Mission. Jogging strollers will be permitted for this race, but no roller skates, bikes, skateboards, or dogs are allowed on the course. Also no unregistered participants.